Thank you for your interest in the University of Central Florida. The graduate application for admission is available online for your convenience. Check your program’s application deadlines and requirements in the Graduate Programs section of the catalog. The application and all application requirements must be submitted by the stated deadline. Applicants interested in being considered for university fellowships or assistantships should apply and complete their application by the Fall priority deadline (January 15). The College of Engineering and Computer Science encourages prospective students to pre-apply before completing the online application for graduate admission. Physical Therapy DPT applicants are required to apply through PTCAS in addition to completing a UCF Graduate School application. Communication Sciences and Disorders MA applicants are required to apply through CSDCAS in addition to completing a UCF Graduate School application. Athletic Training MAT applicants are required to applying through ATCAS in addition to completing a UCF Graduate School application. A bachelor’s degree from a regionally accredited U.S. institution or its equivalent from a foreign institution AND a GPA of 3.0 or more (on a 4.0 maximum) in all work attempted while registered as an undergraduate student OR while registered as an upper-division undergraduate student (normally based on the last sixty attempted semester hours); OR, a graduate degree or professional degree or equivalent from a regionally accredited U.S. institution or its equivalent from a foreign institution in a field related to the discipline of the program to which the student is applying. Students applying to doctoral programs must submit an official competitive score on the General Tests of the Graduate Record Examination (GRE) (or an official competitive score on the General Management Admission Test [GMAT] as required), or an equivalent score on an equivalent measure approved by the graduate program and the university. Students applying to doctoral programs must also submit three letters of recommendation, a resume or curriculum vitae, and a written essay. International students must demonstrate their proficiency in the English language. International students, except those who are from countries where English is the only official language, those who have earned a degree from a regionally accredited U.S. college or university, or those who have earned a degree from a country where English is the only official language or from a university at which English is the only official language of instruction, are required to submit a score on the Test of English as a Foreign Language (TOEFL) or IELTS before they can be admitted to the university. A computer-based TOEFL score of 220 or 80 on the internet-based TOEFL (or equivalent score on the paper-based test) or 6.5 on the IELTS is required unless otherwise specified by the program. 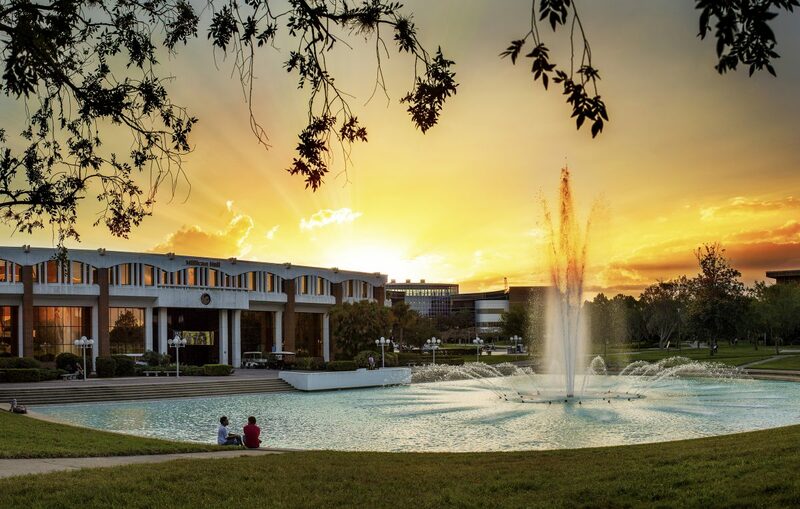 International students applying to master’s programs that do not require a GRE (or GMAT), must submit a course-by-course evaluation of their official transcripts from a credential evaluation service recommended by UCF. This course-by-course evaluation must show a GPA that is equivalent to a 3.0 from an earned degree that is equivalent to a U.S. bachelor’s degree. UCF now accepts scanned copies of official transcripts as part of your application materials. You will have the ability to upload these materials during the application process. After you have been offered admission to a graduate program and prior to the beginning of the semester term, you will be required to submit your official transcripts. When obtaining official transcripts, be sure to request that the transcripts show the degrees you have earned. Individual programs may have more restrictive admission requirements, as listed in the Graduate Programs section of this website. Program requirements may be based on other factors such as work experience, research interests of the prospective student, evidence of extracurricular or community work, personal interviews, or other factors specified by the program. The full language of the UCF Admissions Regulations for Graduate Students can be found at regulations.ucf.edu/chapter2.asp (UCF-2,003, UCF 2.0031, UCF 2.009). All graduate applicants must provide official proof of a baccalaureate degree. Please request one official transcript from each college and/or university attended. Be sure to request that the transcript shows degrees you have earned. If you were previously admitted and enrolled in a graduate program at UCF but have been absent for three or more consecutive semesters, you may apply for readmission to the same graduate program. Readmission is also required if you were previously dismissed from a graduate program and are interested in regaining entrance into that same program. The graduate application for admission is available online for your convenience. Before you begin the application, however, check your program’s application deadlines and requirements in the Graduate Programs section of this website. When a student applies for readmission, the program will determine if the student will be admitted back into the program. Those applying for readmission after being dismissed from a program will need to include a Conditional Retention Plan with their application. For more information on this policy, please visit the Policies section of the Graduate Catalog. Readmission is not guaranteed. Graduate Application for Admission (electronically signed and submitted by the applicant). A $31 nonrefundable application fee is required of all applicants for each application submitted. Recommendations, if required by the program (complete this section of the online application). Resume, essay, or other materials, if required by the program (must be submitted as part of the online application). Test scores (GRE, GMAT, TOEFL, IELTS) and transcripts do not need to be resubmitted. GRE/GMAT scores are valid for 5 years from your test date; TOEFL/IELTS scores are valid for 2 years from your test date. The readmission application and all application requirements must be submitted by the stated application deadline. The Jeanne Clery Disclosure of Campus Security Policy and Campus Crime Statistics Act, otherwise known as the Clery Act, is a federal law that requires institutions of higher education to provide current and prospective students and employees, the public, and the Department of Education with crime statistics and information about campus crime prevention programs and policies. The University of Central Florida’s Annual Security and Fire Safety Guide is published by October 1 of each year to comply with the requirements of the Clery Act and contains policy statements, crime statistics, and fire statistics for the school. The policy statements address the schools policies, procedures, and programs concerning safety and security, for example, policies for responding to emergency situations and sexual offenses. Three years of statistics are included for certain types of crime that were reported to have occurred on campus, in or on off-campus buildings or property owned or controlled by the school, and on public property within or immediately adjacent to our campuses. This report is available online at http://police.ucf.edu/SafetyGuide/MainCampus/. You may also request a paper copy from the UCF Police Department or by emailing clery@ucf.edu.